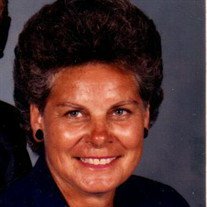 Rachel Taylor Conner, age 83 , of Rutherfordton, NC, died Monday, February 11, 2019, at Greenville Memorial Hospital in Greenville, SC. She was the daughter of the late William Ross Taylor and the late Sarah Mae White Taylor and a native of Rutherford County. She was a widow of the late David Clell Conner. Rachel was a faithful member of Pleasant Hill Baptist Church and was a Sunday School teacher for many years. She worked on the farm and at the saw mill with her husband David all her life. She was preceded in death by one brother Robert Taylor and one sister Alma Queen. Lillian Frazier and Peggy Cooper. The family will receive friends from 6:00 PM to 8:00 PM, Wednesday, February 13, 2019 at McMahan's Funeral Home. The funeral service will be at Pleasant Hill Baptist Church at 2:00 PM, Thursday, February 14, 2019 with Reverend William Swink officiating. Interment will be at Pleasant Hill Baptist Church Cemetery, Rutherfordton, NC. The Rachel Conner family would like to express their appreciation to all the staff at Greenville Memorial Hospital and all of their friends and family. Online guest register at www.mcmahansfuneralhome.com. McMahan's Funeral Home & Cremation Services in charge of arrangements. 563 Pleasant Hill Church Rd.